← Do you choose joy or stress? 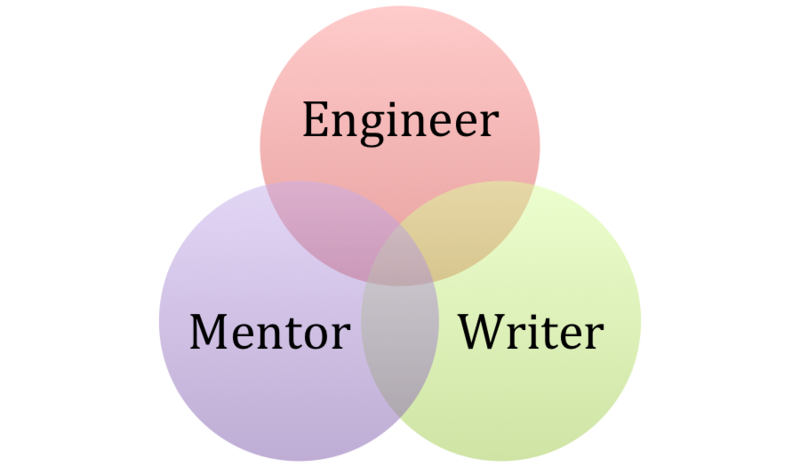 I noticed yesterday while I was meeting with a person I had just met for the first time how our connections with people are like a series of Venn Diagrams. Do you remember doing those in school? You would have a series of things and you would draw a circle then list a set of things you would then draw another circle and list a second set of things and where the circles intersected you would list those things common to both sets of data. It’s about common ground and connection. As I was sitting there with my new acquaintance I was very aware of how many of our circles intersected, business experience, fishing, leadership philosophy, and current business status. As I drove home from our breakfast meeting I also noticed how the duration of our connection with people are also like a Venn Diagram, we have all heard the saying you know people for a season, a reason or a lifetime. Well in a Venn Diagram way I was thinking how with some people your circles may barely touch, those are the people you see as part of your day but perhaps there is not a meaningful connection, maybe they are checking you out at the grocery store, you experience each other and are inexplicably connected at that moment in time, however, once it passes you may not cross paths again. Then there are people in your life where your circles are solidly connected, your family is a good example, your kids, your parents, your spouse. What is fascinating to me are the people you meet who fall in between those two extremes. Yesterday was a great example, I am meeting this person and I see the common ground we have, yet I am not sure what will happen with time, will our circles intersect? Perhaps and to what degree, right now its part of the great mystery. I have learned not to force these things anymore and to let things unfold in a more natural way. Not to say I sit back and do nothing but rather I understand my intention and purpose in life; connection and inspiration and while in action things will grow from there just as effortlessly as a seed sprouts. This past weekend I experienced a beautiful connection involving my daughter and her grandparents. It was an amazing and unexpected intersection of circles that evolved genuinely and naturally. I love the symbolism of the circle it has no beginning and no end. It’s no mistake that I had this epiphany of the Venn Diagram image and connection to life, I attended the Mending Medicine retreat last weekend facilitated by John Two-Hawks. John shared with us how to live a balanced and more harmonious life and used many examples from his Lakota culture particularly the Medicine Wheel or the Sacred Hoop. John pointed out that most indigenous people around the world have a Medicine Wheel or Sacred Hoop image as a core part of their belief system. He also pointed out how modern thinking has gradually developed into a linear system of thinking, which requires a hierarchy, in other words rather than sitting down as equals we have created a system where someone is always above or below the other. As an engineer I am profoundly aware of the balance of a circle versus a linear design and find it very interesting that as a society, we have “evolved” in such a way that we have actually moved farther away from the perfection that nature has revealed to us and created a system that is more and more out of balance and out of harmony. It’s so simple yet it’s not easy. I had the wonderful opportunity to celebrate a good friend’s birthday last night, as we all enjoyed each others company we could not help but discuss the current event unfolding, the national election. We discussed the current tumultuous state of our political system and how can we create more harmony among our leaders. So much valuable energy is being wasted on discord. She said the system is such that people from each party sit across the aisle from each other when in reality they should be sitting next to each other. She suggested a seating chart organized by States or an alphabetical seating chart but democrats and republicans would sit side by side. She also said they should break bread with each other and often. She said it sounds so simple but felt very confident this would lead to a more balanced and harmonious approach to governing our country. She basically described creating a circle rather than the current linear system or approach, where one feels superior to the other. So beautiful! I believe we all have the knowledge within us to know what will create balance and harmony, the choice is ours to listen to our inner wisdom or to succumb to the external influences that drown out the ancient wisdom we all carry inside us. As you go through your day notice the circles in your life, where you have disharmony or imbalance let the circle inspire you to create harmony and balance. You have noticed that everything an Indian does is in a circle, and that is because the Power of the World always works in circles, and everything tries to be round….. The Sky is round, and I have heard that the earth is round like a ball, and so are all the stars. The wind, in its greatest power, whirls. Birds make their nest in circles, for theirs is the same religion as ours…. Posted on November 7, 2012, in Humor, Life, Spiritual Journey and tagged balance, Black Elk, common ground, connection, harmony, john two hawks, Lakota, medicine wheel, Mending Medicine Retreat, Oglala, sacred hoop, Sioux, Venn Diagram. Bookmark the permalink. 2 Comments.